and independence — begins with how we value our Employees. My brother recently needed home care after suffering a near fatal heart attack. Every single person from Partners, nurses, physical therapists, office staff were so professional, friendly and caring. I cannot say enough good things about your organization. Thank you so very much for all you do. What a comfort and help all of you were. "Partner's staff is professional. They always followed up with me in person and by phone. I was treated with respect and kindness from all of the Polson staff." 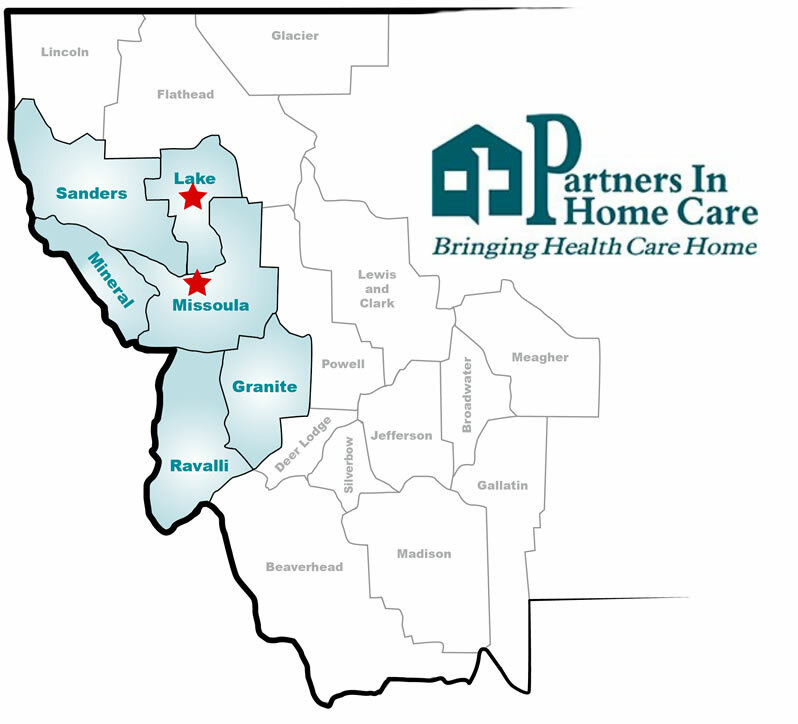 Partners In Home Care is passionately committed to assisting clients and families in achieving optimal health, independence, and comfort through high-quality, cost-effective home and community health-related services.